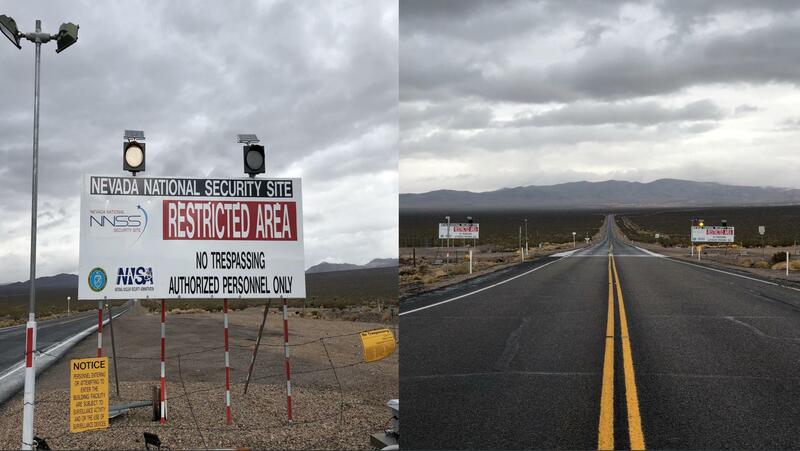 Sometime between April 2018, and February 2019, the Main Entrance (Mercury) to the Nevada National Security Site received updated Warning Signs to help keep out unwanted visitors! I definitely feel this is much more of an effective visual warning tool, compared to the classic black and white lettering, on the previous NNSS//NTS Signs! Anyway, I thought some of you might enjoy to know//see this!